How many times have we, as consumers, been lured with promises of discounts, added value, and a life of customer service utopia for ever more. TV ads proudly proclaim the benefits of joining a variety of broadcast/utility/financial services companies who will deliver superiority versus their competitors against every benchmark. But what about the people who are already part of their community? Who use their broadband, gas, electric or Digital TV services? How do these offers and claims make them feel? When I realised that I would be better off financially terminating my current Broadband and TV package and re-purchasing again from the same company, it made me really question these corporate strategies. Many people may well be aware of the famous Pareto’s 80-20 rule. Applied to the marketing element, this equates to 80% of sales coming through 20% of the customer base. But, in my experience, it is often the 20% that get forgotten about; yet are the most powerful allies of all. Studies have shown that companies that reduce customer defection by 5%, could boost profits from between 25-85%. Clearly, in these critical times, gaining new business is critical for survival. But so is gaining positive word of mouth, with the public voice that is now possible through Social Media channels. Alongside this – the actual costs make economic sense. Figures from Bain & Company show that acquisition campaigns can cost up to 7 times as much as retention activity – given the low loyalty that resonates with new customers. Have your retention and acquisition teams working side by side, to ensure that all customer experiences are positive and offer something new. Share the same objectives, challenges and performance measures. This also applies to all customer touch points, including the customer sales teams. Ensure they have the data and experience to deal with both types of customers – existing and potential – to deliver the right level of service and satisfaction levels. Customer insight will improve whatever service it is you are offering. This will, in turn, help to improve the acquisition costs and offering. 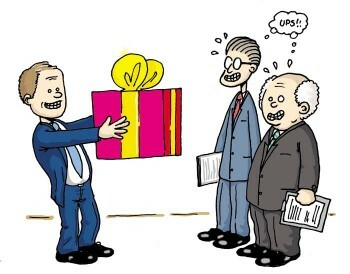 Reward loyalty – not at the expense of acquisition, but at least on the same level. Ensure the value offering for current customers remains at least on a par with the acquisition promise, so customers feel happy to be part of the community. A small but critical point that will can help to drive acquisition costs down as communities have the most powerful voice of all in this new world.